← What Are We Putting Our Actors Through? Good News, Everybody! New Multiple Man Comic! 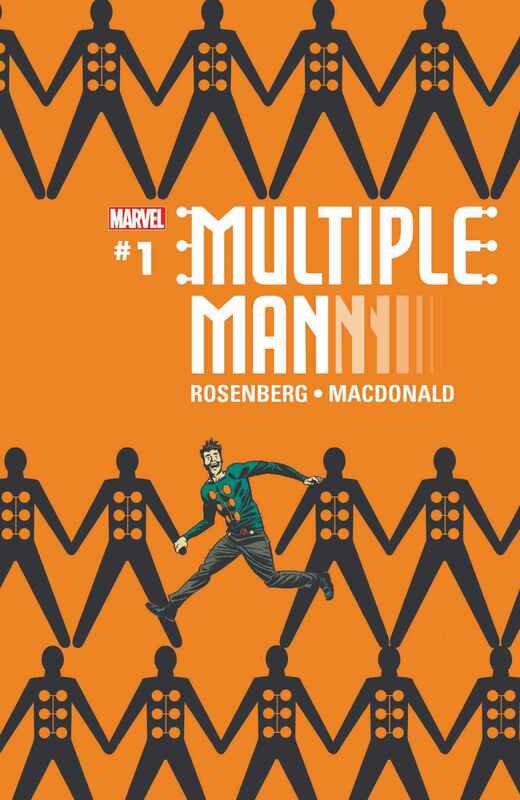 We all kind of hoped it was inevitable, and the big reveal is here: Multiple Man is coming back with his own solo comic book series! Multiple Man #1 will debut in July, the first of five issues. It will be written by Matthew Rosenberg (who is also using Strong Guy and Wolfsbane in New Mutants), with art by Andy MacDonald. I love wildly inventive/minimalist covers! Welp, I’m thrilled! This is exactly what I want! I’m not too familiar with Rosenberg’s work, or MacDonald’s, for that matter, but this interview with ComicBook.com paints Rosenberg as a pretty awesome fellow. Some basics about the book: Jamie Madrox isn’t dead yet from the Terrigen Mists, and why he’s not dead is going to drive some of the book. Rosenberg isn’t going to use Layla Miller, at least not right away, but he is going to use Jamie’s friends from Rosenberg’s New Mutants comic. So a bit of boo with all the yay, but I can live with that as long as we get proper Multiple Man back! Posted on February 26, 2018, in Comics, Marvel, Multiple Man, X-Men and tagged Andy MacDonald, Jamie Madrox, Matthew Rosenberg. Bookmark the permalink. 1 Comment.